Do you drink "HOT" coffee in the morning on a hot summer day? Most Caffeine Addicts do, I think. I am used the jolt it gives me, but when you walk out of your house and it’s already 80 degrees at 7:30 in the morning, the coffee in your hand doesn't seem so appealing, or does it still? Please tell us your opinion below! 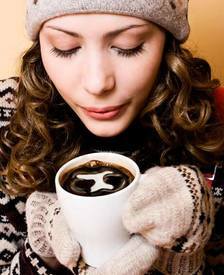 Are you a true Caffeine Addict? What are they other ways you get your "jolt" if it is too hot outside?